Short Skirt + Short Cardi for that spring weather that isn’t quite warm enough but, not that cold either. Comes in @javabeandreams​ / @hamburgercakes​‘ Rifle Paper Co. patterns and a bunch I begged @simlaughlove​ for! 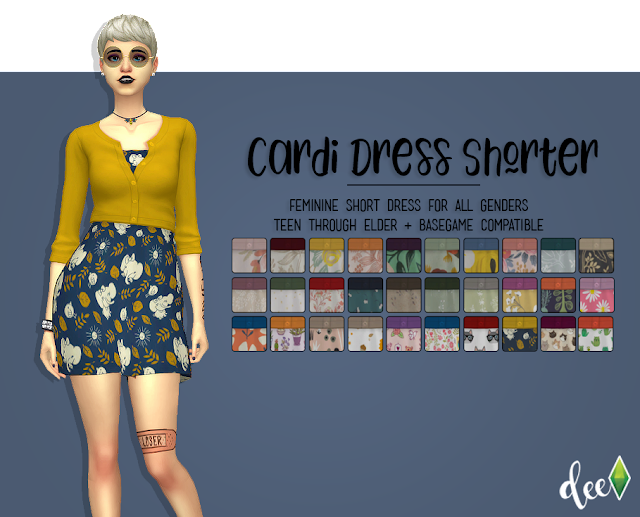 Thanks to @simlaughlove​ and @saurussims​ for testing.